Our attorneys are focused on providing strategic, result-driven advocacy to clients and families throughout the Phoenix, Arizona, area. Bringing diverse experiences into our practice, we work collaboratively to identify legal issues and pursue lasting solutions for clients. Attorneys from our firm have extensive experience in representing clients in superior courts throughout Arizona. 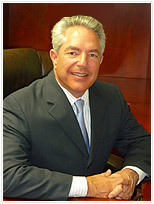 Bruce Blumberg was selected as one of the Top 100 Trial Lawyers in the U.S. from the National Trial Lawyers Association as well as a Southwest Super Lawyer from Super Lawyers.